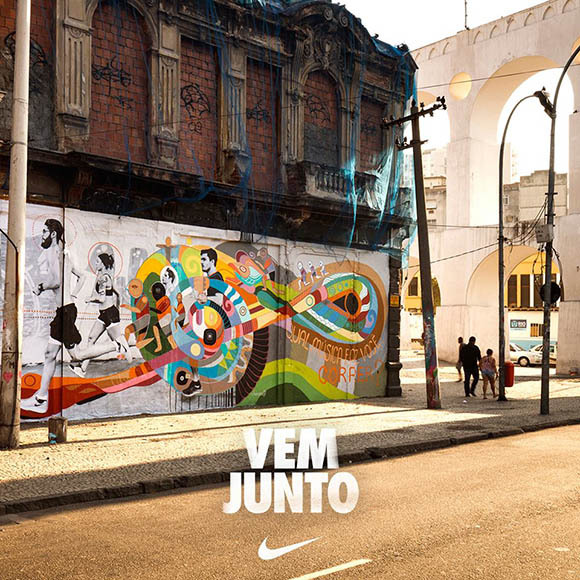 Vem Juntos, Nike Rio do Janeiro’s new online platform, promotes running as a movement for positive change, not just for the individual but for society as well. The platform is designed to improve the running experience and training whilst bring people together in a positive and fun way, sharing experiences and creative ideas. 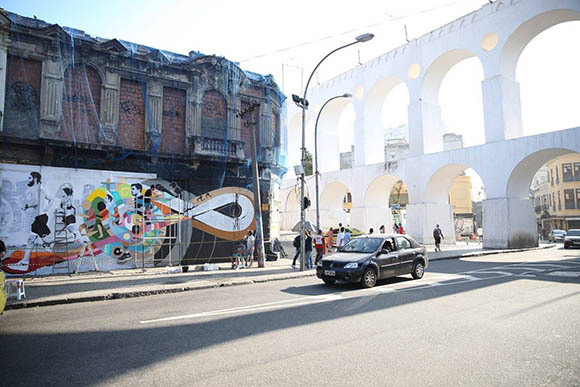 For the launch of the new project, Nike invited Machas’ Artist Fernando Chamarelli to create a mural in Rio de Janeiro, in the central area of Arcos da Lapa. 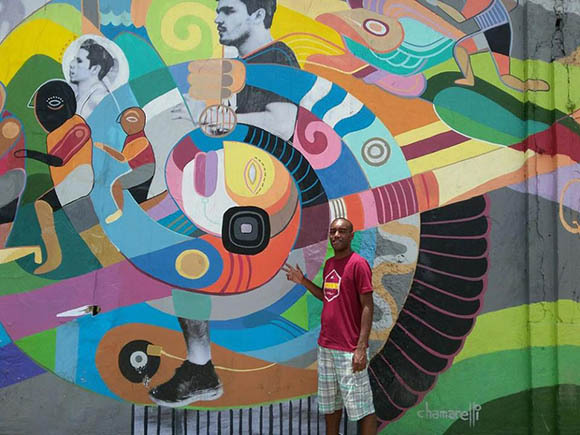 Fernando who has produced outstanding outdoor art in the past (most notably a 28 meters long mural at SESC in Sao Paulo),mixed for the project a black and white photo of a group of runners gliding through a bold visual representation of a music theme. This was the first time Fernando worked with mixed media and the result is quite stunning, as it adds another layer of storytelling to an already rich visual language. 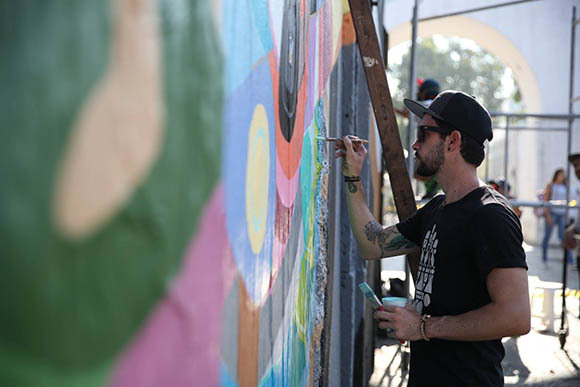 Fernando’s mural has become a manifesto to experience the streets differently. 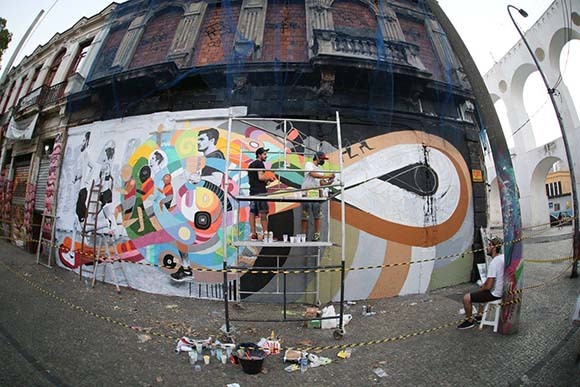 Fernando Chamarelli takes a little piece of Brazil to Berlin!